For a team that's been in the doldrums for a long time, there's a lot of Padres blogs! Check out these ones. The SB Nation blog, it's named after the Gaslamp district that PETCO is located in. The site doesn't appear to be that busy - there were only 14 comments on the game thread for last night. Sunday's game got 42. They're pretty serious about fan engagement though - they even have Help Guides. One thing they have I haven't seen before, a tip jar, a place to contact them anonymously with rumours, suggestions and the likes. It's a good idea. The blog itself has been around since 2005 and seems to be one of the original core blogs for SB Nation. I have no idea what to make of the Mission Statement, though. Sexist or no? This is the best. A bunch of blogs got together and decided to create one site to find them all. This takes the pressure off of each individual writer to churn out daily content and creates a space with a lot of different voices all talking Padres. They're working off the idea of a public house and damn if it isn't a great idea. It's worth spending some time looking around. 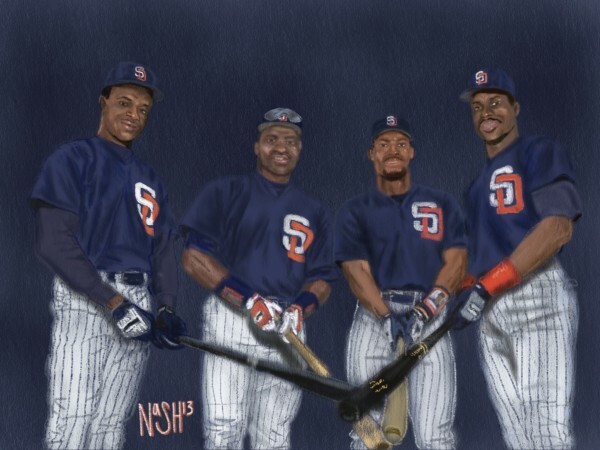 IF you're into podcasts, check out the house one, Padres and Pints. Not updated recently but has a lot of fun stuff. They ask you to Join the Congregation! They have a shop (I think people here will really appreciate the This Team Makes Me Drink T-shirts), a podcast, farm updates, and a resident artist named Jeremy Nash. It's his piece above as well as the one below. which features a couple of familiar faces to Jays fans. 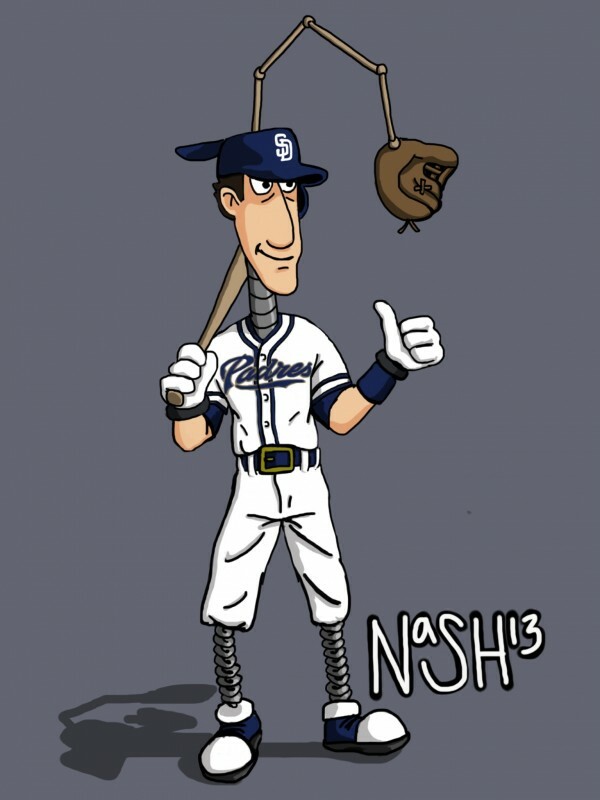 Some enterprising soul has created a database of Padres blogs. Check it out!